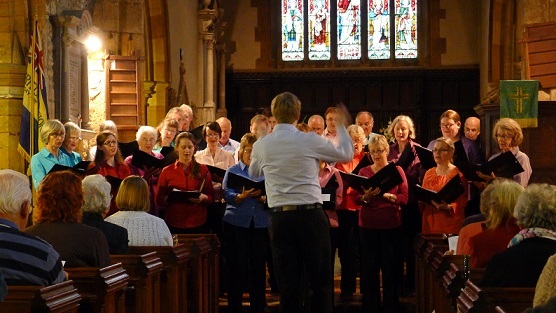 Interested in singing with the Northampton Chamber Choir? We are always pleased to hear from anyone interested in singing with us (whichever part you sing) as vacancies do arise from time to time. At the moment we have specific vacancies for tenors and basses, so these voices are particularly welcome. Our usual procedure for singers interested in joining is for you to attend a few rehearsals with us, so that we can both see if we suit each other! After this, our director will ask you to take a brief audition, hopefully before confirming your place. For further information, contact our secretary, Ruth Grainger, at the email address below. Rehearsals are normally held on Tuesdays from 7.45 - 9.30pm in the hall adjacent to St. Alban's Church, Broadmead Avenue, Northampton.